Do you believe in angels? What a amazing time of the year we are approaching, and this book is perfect for getting you ready for the holiday spirit! As a Soup-er Blogger, I receive books from Chicken Soup for the Soul to review and share with you on MamaBreak. 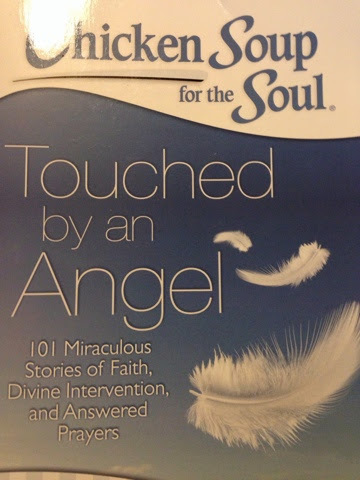 Chicken Soup for the Soul: Touched by an Angel: 101 Miraculous Stories of Faith, Divine Intervention, and Answered Prayers is an entire book filled with stories about people's experiences with angels. I especially enjoyed "A Penny From Heaven," These stories are short, and so I kept the book with me while I was running around town with the kids, just reading one when I could. I was through the book in a week. MamaBreak received a copy of this book to review here on the website and to share with our readers in a giveaway. This post contains affiliate links. Thank you for supporting MamaBreak. 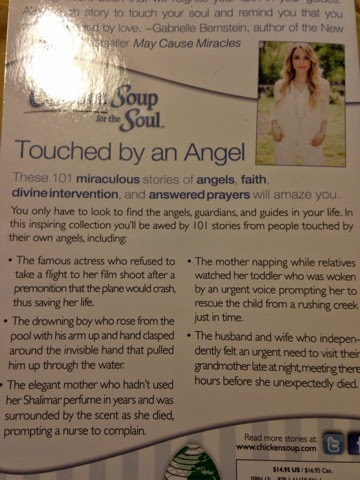 Want to win your own copy of Touched by an Angel? Enter below! I'm looking forward to visiting with my parents and brother. I am looking forward to out of state family visiting this Thanksgiving. I'm looking forward to my mother's cooking. Spending time with all the family!! I am looking forward to my daughter coming home for the holiday. She is in her first year of college and she hasn't been home since August. I am looking forward to delicious food and time with family. I am looking forward to the food!! I am looking forward to seeing family and friends that I haven't seen all year the most. CONNIE SOWARDS commenting: I'm looking forward to visiting my family in Virginia. I am looking forward to spending the day cooking with my family and planning games! love my family! i am looking forward to getting off of my diet and enjoying some delicious food and company. I most look forward to being with our whole family for Thanksgiving. I am looking forward to my family getting together this Thanksgiving after having a heart-felt summer of losing a family member. I'm looking forward to all of the delicious food that me and my husband will cook for our family. I'm looking forward to my family and the food!